We are enrolling for an accelerated 5-week class to those who are aspiring to become a Certified Nursing Assistant (CNA) and work for our Skilled Nursing Facility. –BOOKS AND ALL NEEDED MATERIAL ARE INCLUDED. Those who successfully complete the course will be eligible to take the State certifying exam. 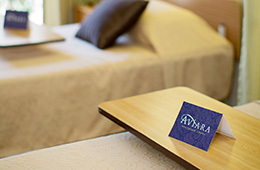 *Aviara Healthcare Center is conveniently located off the 5 freeway in Encinitas. We offer 24-hour skilled nursing along with a dynamic rehabilitation program. Our goal is that with our highly trained staff, we may create a warm, comfortable environment where our patients can achieve their highest potential and return home. When are you available to attend class?